Dogs know cancer earlier than you? A Labrador retriever can effectively detect cancers such as laboratories, according to an ongoing study to test the ability of a dog's nose to sniff cancer in patients. 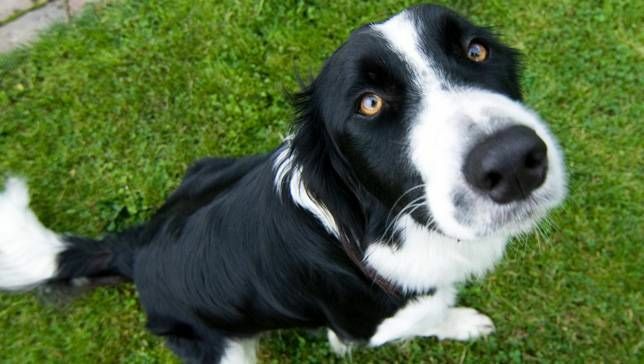 A recent study found that trained dogs can detect prostate cancer in urine with a 98 percent accuracy rate. There are two 3 year old female german dogs was trained by Italian Minsitry of Defense's Military Veterinary Center to recognize prostate cancer through positive reinforcement of volatile organic compounds. The dogs are analyzing more than 400 urine samples and one dog detect prostate cancer with accuracy up to 100, while the other dog reach up to 98.6 percent accuracy rate. However, prostate cancer is not the only type of cancer that can be detected by a dog. Man's best friend has also been proved that their nose can detect the breast, ovarian, colon, bladder, skin and lungs cancers through the breath of patients. Cancer causes the body to release certain organic compounds that can be detected by dogs but not humans, and scientists hope that by studying the phenomenon can help them someday to develop an electronic dog's nose can detect cancer. With 220 olfactory cells that are in a dog's nose, while humans only 50 million, it is estimated that a dog's nose can smell the smells of up to one million times better than humans. In addition to scientific research, there is also anecdotal evidence that says that dogs can detect cancer. Many dog ​​owners are telling the story of their pets constantly sniff or nudging area of ​​their body that turns out to be the area where the tumor is derived. That's what happened to Maureen Burns who has a 9 year old collie mix dog, named Max, began to behave strangely. Her dog sniff her breasts and backed by what is called a sad look in his eyes.